Searching for property in Albania is now easier thanks to Homesgofast.com which is now one of the world most established overseas real estate websites with Albanian property from all over Albania. Our visitors come from all over the world many with the intention of finding cheap property, low cost housing, holiday homes, investment properties, and second homes abroad. Our house sale listings come from Albanian real estate agents, residence builders and home-owners who seek to offer real estate to international buyers. The cost of living in Albania is 58.24% lower than many European countries for example compared to London,the capital Tirana is an incredible 62.49% lower than London. Once known as the hidden pearl of the Balkans, Albania is emerging as a European holiday hotspot with a growing number of people discovering all that it has to offer. 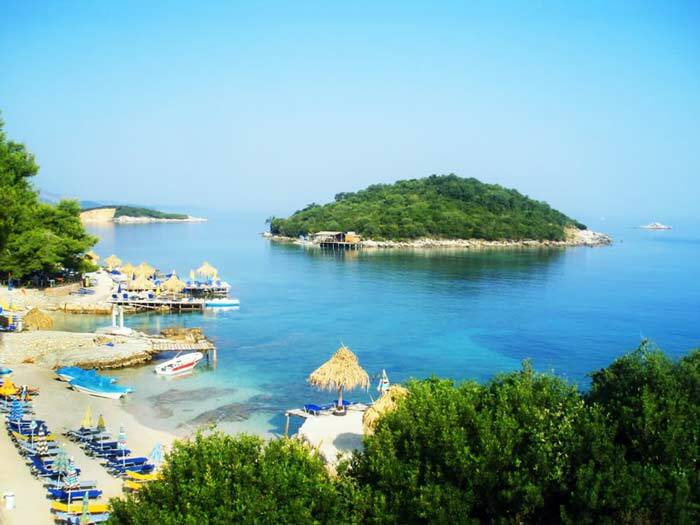 Wish to find the best in Albania real estate? Join all those who have saved money by becoming the the first to know when properties are listed with Homesgofast.com, join for our home alerts. Thousands of subscribers use these each day to beat the crowd, unlike many other websites you will find listing from all types of sellers including bank owned property, off plan developments , homes for sale by auction, and homes for sale by owner. Our advice when selling a property from Albania to international buyers is to Present your property well by using good quality photographs. When writing your description always include how close the property is to major transport links such roads, stations and airports. Always consider who the buyer might be. Many overseas buyers buy property as a second home or investment. In this case think about what the property would offer an investor and holidaymaker. Never over price to test the market! This is one of the biggest mistakes owners make when the sell a property online. Buyers will always compare one property against another and the internet makes this easy to do. Always invite people to make an enquiry so they can learn more about the property for sale. Finally consider taking a video of the property to show potential buyers so they can see fully the property. • Never sign a contract that is written in another language that you don’t understand without a translation. Our top tips to the people selling and buying a property to the people from a further nation will be to homework fx approaches. Forex dealing costs have major impact on real estate sales which can be affected enormous damages in case there is foreign currency exchange rates fluctuations. To negate this associated risk it is consistently wise to take the recommendations of any foreign currency professionals who are able to book interest rates, supply reduces rates and better prices than several bankers. In advance of the buy is able to go in advance you'll almost definitely have to start a banking account inside spot nation, except if you are buying primary from a designer. The objective is to ensure that you obtain the best swap charges and that the funds have been in the perfect place if they are necessary. Advertise your development, property listings or home abroad to those looking to those buying abroad, investing in overseas property or looking to buy a holiday home. Albanian (official - Tosk is the official dialect), Greek. Albania adopted a Latin script in 1908. Two dialects, Tosk and Gheg are spoken in Albania, but the official language is based on the Tosk dialect. The Albanian language Shqip is descended from Illyrian. Albanians greet each other with a handshake. Women greet with a kiss on each cheek. Except for friends, the Albanians use: Zonja (Mrs), Zonjusje (Miss), or Zoteri (Mr).